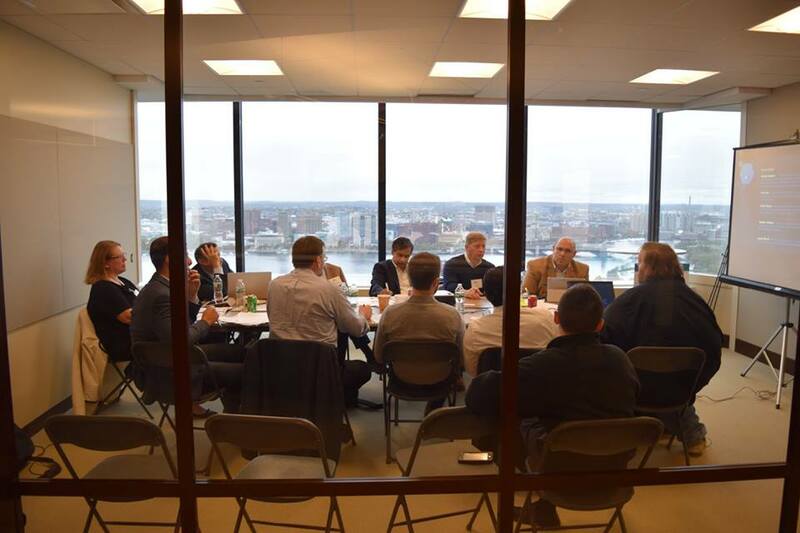 On October 27th, Cleantech Open Northeast announced this year’s four regional accelerator winners who will represent the Northeast at Cleantech Open’s Global Forum in February. GreenBlu, Proper Pipe, PV Pure, and Surge Hydro - with origins from Maine to New Jersey - focus on water, efficiency, and energy generation technologies. This year’s winners were heavily focused in the various applications of water and hydro technologies. GreenBlu (Princeton, NJ) has created a system to purify and desalinate water using low cost solar distillation. Proper Pipe (Boston, MA) has designed technology that reduces the time, effort, liability, and logistics of installing and pressure testing a pipe system. PV Pure (Somerville, MA) has developed a system to make small-scale distributed solar-powered water purification systems technologically and economically feasible. Finally, Surge Hydro (Belfast, ME) aims to create economically viable solutions to electrify our nation&apos;s idle dams and generate hydroelectric power. I sat down with David Markley from Surge Hydro, Howard Yuh from GreenBlu, Huda Elasaad from PV Pure, and Abel Jimenez from Proper Pipe and asked them a few questions about their companies and experiences with Cleantech Open. When did you first come up with your startup idea? DM: Our origin in hydropower began in 2013 when we first bought five dams in Northern Maine, but we didn’t start with the specific idea for SurgeHydro until February 2016. HY: I came up with the idea for GreenBlu around December of 2014. I began by thinking about using desiccant materials for air conditioning, which is when I became aware of how bad the water crisis is. I then came up with the GreenBlu core technology over the next twelve months and finally entered the business accelerator this past spring. HE: The idea for PV Pure was born in the last two years. AJ: Just to clarify, the inventor, founder, and CEO was Ruben Mencos, not myself. Ruben came up with the idea for Proper Pipe while he was working in Iceland installing pipes. He noticed a lot of inefficient processes in installing pipe systems and developed a small prototype at the University of Iceland while studying engineering there. Over the past 6 months, you’ve probably given your pitch dozens of times. About how many times do you think you’ve changed your pitch during your time with Cleantech Open? DM: I actually just rewrote the pitch yesterday! It has probably changed every time we had a meeting. The pitch is a constant work in progress as we continue to reach different milestones for our company. For example, Cleantech Open is now a part of our new pitch since we reached our milestone of winning the regional finals. Essentially, it changes every day. HY: Our pitch changed over a dozen times dramatically over the course of the accelerator. We started with version 1.0, and we are now working with version 5.22. Every round of Cleantech Open changed the focus and the emphasis of the pitch in at least one major way. Working with the mentors from Boston and taking advantage of the events in both NY and Boston helped us revise and improve our pitch so many times. HE: We pretty much started over multiple times as a result of Cleantech Open. Throughout the course of the program, we probably made at least 3 or 4 revisions. Revising our pitch was really a positive experience and our story became sharper and clearer as a result. Our end product would not be the same without Cleantech Open. AJ: Our main message has stayed the same, but we were very lucky to have many advisors with different points of view on how we should present. Ultimately, we decided to go with what we originally started with. In the end, we changed our pitch about 4 times but eventually went back to original one. What was your favorite part of the Cleantech Open experience? DM: I have to say the accountability is what made the experience. The atmosphere of the surrounding people and the comradery in the community really helped us to grow our business and to identify our blind spots. Getting tapped into this community and becoming a part of it has been my favorite part of the overall experience. HY: I think I enjoyed interacting with enthusiastic mentors the most. I ended up adding to my mentors throughout the program and had a few specific mentors who helped with our pitch quite a bit. The overall events were a lot of fun too and the experience talking to people and learning about their interests was quite variable. HE: My favorite part of the Cleantech Open experience was definitely the supportive mentors. We were so pleasantly surprised with their commitment to the teams and how much they fostered us throughout the process. AJ: Personally, my favorite part was meeting the Cleantech Open staff. The staff was professional, energizing, and on top of everything. From a professional perspective, the best thing about the program was networking and opening of doors for future customers. Were you surprised when you were announced as one of the winners? DM: Nobody went in with the mindset thinking they would lose, but we were certainly up against some really strong companies. We all knew it’d be a close race, but we were still very excited to win. In terms of the “Crowd Favorite” award, I definitely wasn’t expecting that. At the same time, the one-minute pitch is something we’ve been working on a while. Getting your idea across effectively in a very short time frame is an important skill, so we are very glad our hard work paid off. HY: I definitely did not expect to win. We are still fairly early stage and we don’t have as much product development as some of the other teams. We expected a team further along to win. Some teams will naturally be further along than others, but I am happy that the judges saw the benefit of GreenBlu and were able to see our potential. HE: We were not expecting to win at all. At that point, we had gone through so much growth and felt comfortable with our position, but were not expecting to win. We were so surprised and so happy. AJ: We did not expect to win. We were very (very) surprised and grateful for the people that worked through those six months with us. It really did feel like a team win, like when Team USA wins the world cup and everyone feels great about it. I&apos;ve already asked about your favorite part of the Cleantech Open experience. Next, what was the most helpful part for you? First round judging, mock judging, etc.? DM: The most beneficial organized activity was probably the initial showcasing speed dating event. Speaking and meeting with mentors opened up a lot of contacts and doors for us. In terms of programs, the weekly meetings with the mentors helped us ensure that we were working on time and meeting our deadlines. It goes back to the value of accountability: having the network of people there was very valuable. HY: The most challenging part of the process is building a story that satisfies everyone. At one point, we made three different pitches for three different audiences. With a wide variety of opinions, you can never say enough about your pitch in a short ten-minute window. In retrospect, the most helpful part of the whole process was learning how to cater the pitch for so many different audiences for a short period of time. HE: The mock judging was definitely really helpful. This was a big calibration point for us. It was the first time we had told our story to fresh eyes and ears, and the feedback was so meaningful. AJ: Mock judging advice was by far one of the best things that we could have received. Receiving honest feedback from industry leaders was extremely helpful. Moving forward, what are your expectations for National Finals in February? DM: Similarly to our expectations for Regional Finals, no one wants to fly across the country with the intention of losing. We have the intention of constantly writing and changing our pitch, creating company milestones, and changing the direction of where we are heading. With a little bit of luck, we will complete our goals and have a better pitch as a result of it. HY: I expect we will work extra hard for national finals. We know we have a lot of work on our pitch and in the business itself, but we are excited and to do what we can over the next few months. We don’t necessarily expect to win, but we will give it our best shot. HE: Our expectations are that this will be a very tough and competitive experience. Just by looking at the quality of the regional finals, it is obvious that we will be up against some really exceptional teams. We’re excited for the finals, but it’s going to be tough. AJ: Our expectations have grown a lot since the beginning. We have confidence now, and with the help of our advisors, our expectations are to win. If you could do anything differently or change anything about the Cleantech Open experience overall, what would it be? DM: I guess the major thing I would do differently is to make sure to not discredit any opportunities given until after I’ve experienced them. There were a few times when we did not take advantage of an opportunity to meet with someone because we felt as if we did not have enough time, and I think that’s pretty common as an entrepreneur. If someone wants to take the time out of their day to meet with you, they probably have a good reason for it. HY: If I could do something differently, I would definitely start working on the worksheets earlier. It takes a long time to do a good job on those, so prioritizing those early would only make it better. HE: The Cleantech Open experiences exceeded our expectations. It was a perfect combination of mentors that guided us through the process, and we were connected really well to everything. Overall, everything worked out really well. AJ: From a team perspective, I think we would like to have more time together. We are a team that is not in the same location, so having more time together to work on the different models would help. Maybe we would have won another award if we had more time to work together. Do you have any advice or recommendations for next year’s program participants? DM: Engage early and often. Stay involved. Every year, the companies and the groups will be different, but make sure to attend all of the brainstorming meetings and keep being involved in the community and process. Our overall business model changed a lot based on feedback from our connections, and it improved us overall in the end. HY: My advice for future startups would be to never be afraid to make hard choices. By the end, in order to get a proper pitch, we ended up shredding a lot of original business plans. HE: My advice to future participants is to always be open to feedback, because that’s where the growth comes from. AJ: The number one piece of advice I could give would be to open up, trust in, and listen to the advisors. A lot of the inventors or innovators are very protective of their intellectual property, but advisors and mentors can give so much honest and helpful feedback. The second piece of advice would be to attend every single event that CTO has to offer. Here’s to hoping for a National winner from the Northeast this year!